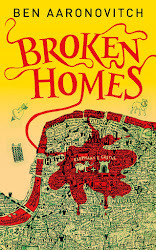 Twelve-year-old Willa has been moving from town to town her entire life – just as soon as she seems to be settling in somewhere, making friends and putting down some tentative roots, her mother brings out the suitcases, and off they go again. But now things are different: they have moved to Cape Cod, where Willa’s grandmother lives, and it looks like Willa’s new friend Tina is becoming her first-ever best friend. Willa adores her new life: her grandmother’s delectable candy shop, the kindly bookstore owner who saves special books just for her, the allure of the beach and sand – not to mention her handsome classmate, Joseph Francis Kennelly. 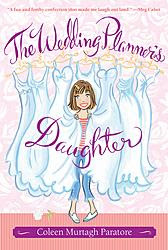 Willa’s mother Stella runs a glamorous wedding planning business, and her weddings are famed for being the most perfect romantic weddings ever – so perfect that some famous soap opera stars have asked her to plan their extravagant Cape Cod wedding. But ironically Stella is the least romantic person Willa knows. Ever since her own marriage ended tragically with the death of her new husband, Stella is determined not to have any stars in her eyes and to keep her feet – and her daughter’s – firmly planted on the ground. 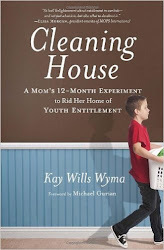 But Willa has other plans for her mother – namely Sam, their handsome neighbor who is also Willa’s English teacher. She thinks he would make a wonderful husband for Stella – and the perfect father for herself, which is something she’s been wishing for ever since she can remember. Unfortunately, what Willa wants and what Stella wants are two very different things. At first glance this book appears to be a fluffy preteen chick-lit read, and indeed, it starts out that way. But as the story progresses and the characters develop, the story takes on a deeper emotional resonance while still maintaining its sense of fun. Some of the plot elements (as well as the silly names for peripheral characters, like "Duke and Dora" for the soap opera stars) did stretch credibility a bit, and Stella's treatment of Willa at times made me want to shake the woman in frustration, but the book offers up a solid, sweet (sometimes bittersweet) mother-daughter story with engaging, memorable characters. My grandmother owned a flower/antique shop when I was growing up. I sure do wish it was a candy shop though! That must have been a cozy place to visit, full of flowers and lovely old furniture and things! But yes, it would be hard to beat a candy shop! Hmm I wouldn't say that. The shop itself was kind of like a museum but I liked the back room where I could watch everyone put together the flower arrangements. The smell of that shiny stuff they spray on the leaves and stuff always reminds me of Grandma. A museum, eh? Not quite what I was imagining. But the back room sounds like fun - especially for kids, who always get a kick out of being able to go into restricted areas (at least I did). Funny how smells can take us right back to people and places, isn't it?! Sounds like a fun chick flick! Carrie - you know, you're right - it would make a fun chick flick! Great young girl book, the book does take a while to get into, but by chapter 19 you are hooked. I enjoyed the characters (except the mother, who irritated me to no end)! I'll be curious to see how their relationship progresses in the next book (or if it deals with something else altogether). I agree - it's a great book for young girls! Ka-la Babe - I know what you mean! It IS sad - she is so alone, and has moved so often, and her mother is so clueless about her. But it's funny, too! It will be interesting to see what happens in the next book. i want to read playing cupid so bad, i've tried finding it on the net to read for free but that was a disaster, then i went down to the bookstore. they don't have the book, same as my local library!!! plz help me out here!!! i would love to see a movie for this book. it's one of my favorite books, and as being a writer, it would be amazing if this were made into a movies, great plot, but the way the dad died, was kind of iffy, i would had came up with something else, but i guess it all fit. can't wait to read the squeal. I think it would make a great movie as it is one of my favourite books. And I agree the way the father died was a little bit over the top but I still couldn't put the book down. Even the rest of the books in the series had my eyes glued to the page 24-7. It would be a great movie in my opinion. I've read all the books. I enjoy them, but I must admit the plot seemed far-fetched at times. Willa's tendency to be whiny and ignorance of business sense gets on my nerves, and usually I agree wholeheartedly with Stella. Why does Willa call her mother Stella, anyway? Willa's not the greatest writer, and I think she needs to stick with reading. I'm not fond of Mariel Sanchez, either. She seems like a real complainer. And what is wrong with a spa for dogs? Their intolerance of those who choose to patronize the place astounds me, as liberal as those two are. Abigail - forgive me for taking so long to post your comment! I keep forgetting to check my "awaiting moderation" folder for posts that are older than 2 weeks. (Insert New Year's resolution here.) It has kept away lots of spam, though. Anyway, I think the same issues you have with this book are what's kept me from continuing with the series, although it sure is a popular one. Have you read the sequel? Sounds like a good resolution! :) I have read the sequel and I finished out the series. While Willa and Mariel continued to be irritating, I liked the last book "From Willa With Love" the best. Abigail - That's good to know. I may have to reread the first one because it's gotten a bit fuzzy in my mind. I can't believe I've been blogging here long enough for that to happen to any of the books I've reviewed!